Two centuries from now, Mormon missionaries won&apos;t just be going door to door, they&apos;ll be going from planetoid to planetoid. 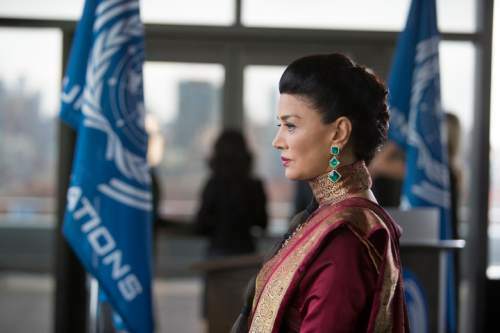 That&apos;s what happens in the futuristic new Syfy series "The Expanse," which includes a subplot that harks back to LDS Church history. Syfy president Dave Howe describes "The Expanse" as the channel&apos;s "most ambitious series to date." In terms of the look and the scope, it&apos;s certainly the most ambitious since "Battlestar Galactica," which ended its run six years ago  and was the last series on the science-fiction channel to be set primarily in outer space. Set 200 years in the future, "The Expanse" takes place in a time when man has colonized the solar system. Earth controls the moon; Mars is an independent military power; both rely on the resources from the asteroid belt  where humans have been born, grown old and died without ever living in Earth-like gravity. Tensions between Earth and Mars are high; the Belters  represented by the OPA (Outer Planetary Association)  want their independence; war looms; and at least one group is trying to spark a conflagration. The story, based on the novels by Daniel Abraham and Ty Franck (under the pen name James S.A. Corey), surrounds a hard-boiled detective&apos;s (Thomas Jane, "Hung") search for a missing woman, a rogue ship&apos;s captain (Steven Strait, "Magic City") and a massive conspiracy. 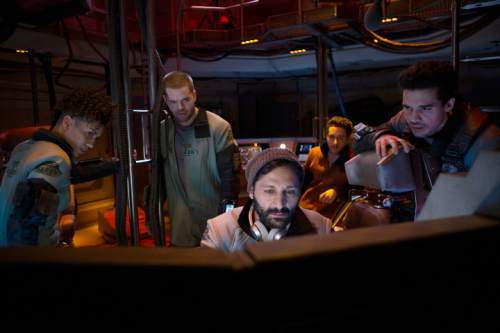 "One of the themes we have at the heart of the show is this sense that the same quality that enables human beings to conquer space  to do great, great things  those are the same qualities that cause us to fight and cause us to wage war," said executive producer Naren Shankar ("CSI," "Farscape," "Grimm"). "Think of it as humanity at another one of those points where it&apos;s a powder keg just waiting for a spark to happen, and then lots of bad things will happen after that." And in the middle of this are … Mormons. A few members of The Church of Jesus Christ of Latter-day Saints, at least. The elder tries a novel approach on Detective Miller (Jane) and his partner (Jay Hernandez). "Excuse me, sir. Do you like to laugh?" the missionary says. "I know what you&apos;re thinking  Mormons aren&apos;t funny. But we have a comedy night at the Laugh Shop once a week, and I&apos;d love to prove you wrong. Can I put your name on the list tonight?" It&apos;s amusing and seemingly random. But it&apos;s not so random, after all. In Episode 4, we meet an unnamed Mormon official (Peter Spence) and learn that the church is having a huge ship built that will take members to a planet that&apos;s orbiting a distant star. In the books, the 23rd-century LDS leaders wish to escape persecution and find a place where they can live their religion … which is, of course, how Utah was settled. The ship is named the Nauvoo, after the city in Illinois that the Mormons fled as they began their trek to what is now Utah. Work is progressing on the Nauvoo, but the church official is there to replace project supervisor Col. Frederick Lucius Johnson (Chad L. Coleman). "Your ties to the OPA have been making a number of elders and the general authorities uncomfortable," the LDS official says. Johnson defends the OPA and points out, "The history of organized religion isn&apos;t exactly strife-free." He also offers up a threat, suggesting that if he goes, the more skilled workers will go with him. "You&apos;re about to send your best and brightest Mormons on a hundred-year voyage to a new world around a new sun," Johnson says. "Who knows what tragic malfunctions might occur along the way?" It&apos;s a seemingly minor plot point, but it&apos;s clearly going to progress in future episodes. And there just might be a lot of future episodes. 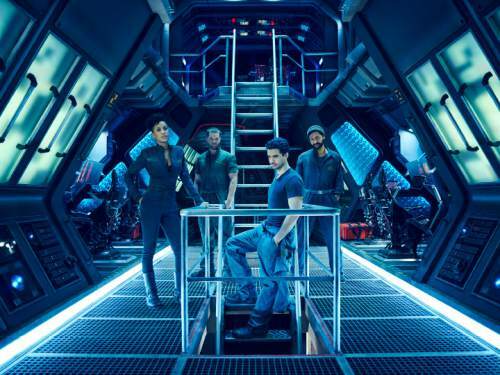 While "The Expanse" is being billed as a 10-part event, Syfy is hoping to turn it into a continuing series. There&apos;s certainly plenty of material  to date, five novels, two short stories and two "Expanse" novellas have been published, and there are plans for four more novels and three more novellas. Beyond that, the authors of the book series are writing producers on the TV show. "And Ty or Dan will go, &apos;Well, how about using this?&apos; And it&apos;s, like, that&apos;s from Book 6 or something that hasn&apos;t been written yet." It&apos;s a different take on the future. This is not "Star Trek," where technology and humanity have advanced to a golden age. 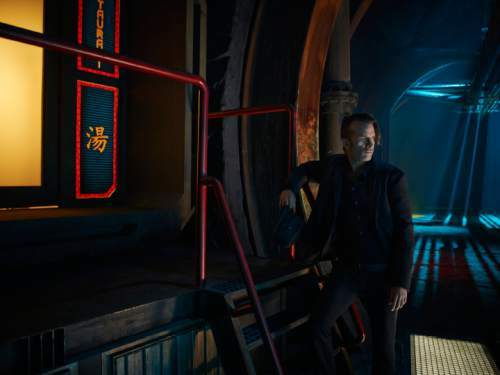 "A lot of sci-fi we grew up on takes us into a story world that we&apos;ve jumped over the interesting part, which is the first fumbling steps of us pushing off this planet, getting out into the solar system, sorting ourselves out as a race," said executive producer Mark Fergus. 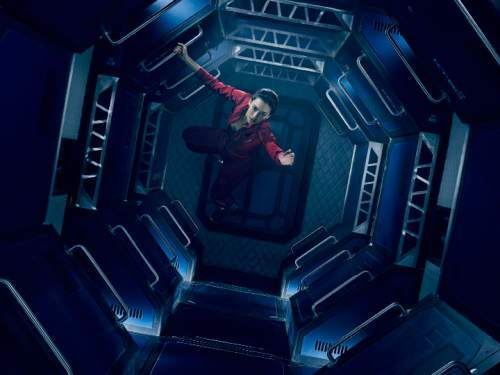 Not so with "The Expanse," in which "everything is still working itself out." This is a gritty look at time when mankind&apos;s same old failings are taken to an interplanetary scale. The main characters in this show are sort of everyday people. Even those who pilot the broken-down, century-old ship that brings water to the Belt are the equivalent of "truck drivers," Shankar said. There are some really cool outer-space effects. There are even cooler space battles. But the emphasis in this space opera is on the opera, not the space. 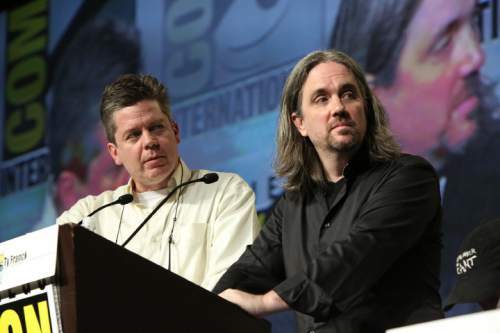 "We&apos;re telling this big epic space story through what you&apos;d usually consider the little people, the forgotten people, the burned-out cops and truck drivers of space," Fergus said. "These are the people who are going to change the solar system and the human race as we know it." 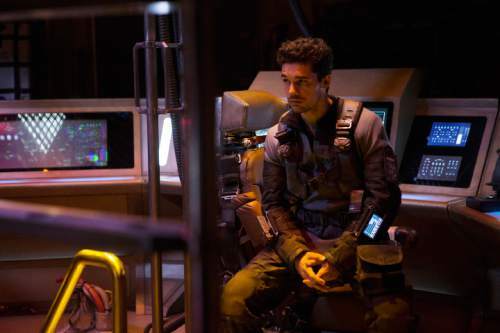 Episode 1 of "The Expanse" premieres Monday at 11 p.m. on Comcast, 8 p.m. on DirecTV and Dish. Episode 2 debuts Tuesday at the same times; episodes 3-10 are scheduled on successive Tuesdays at those times through Feb. 9. There will be multiple repeats throughout the week.